*Discount applies to direct users in the United States and Canada. This coupon excludes BRAF V600E antibody and antibody microarray products. 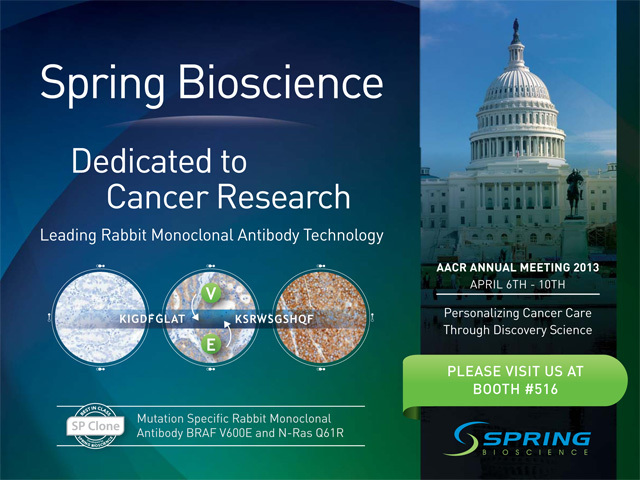 Please use code AACR1350 to place orders online, via telephone, email or fax.